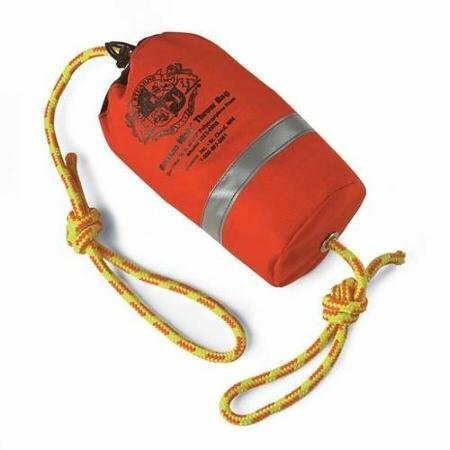 Rescue Mate Rescue Bag - 70'Durable 1000-denier Cordura bag holds 3/8" braided, floating polypropylene rope strong enough to support up to 1,800lbs of tensile pressure. Distinctive orange bag features quick-release carrying strap and features 1" reflective tape around the center for increased visibility, even in the dark. If you have any questions about this product by Stearns, contact us by completing and submitting the form below. If you are looking for a specif part number, please include it with your message.